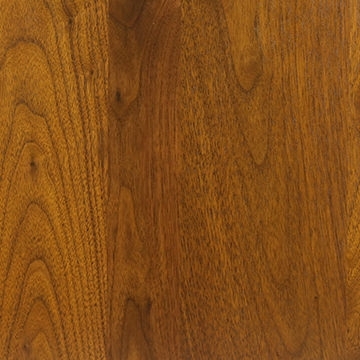 American Walnut (Juglans nigra; a.k.a. 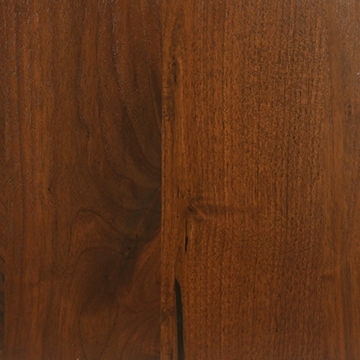 Black Walnut) is native to the eastern United States, and a highly sought after specie unique to North America. 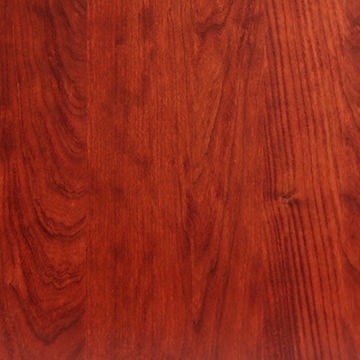 It is strong and durable (hardness rating of 4.492 N), without being excessively heavy (38 lbs/cu ft). 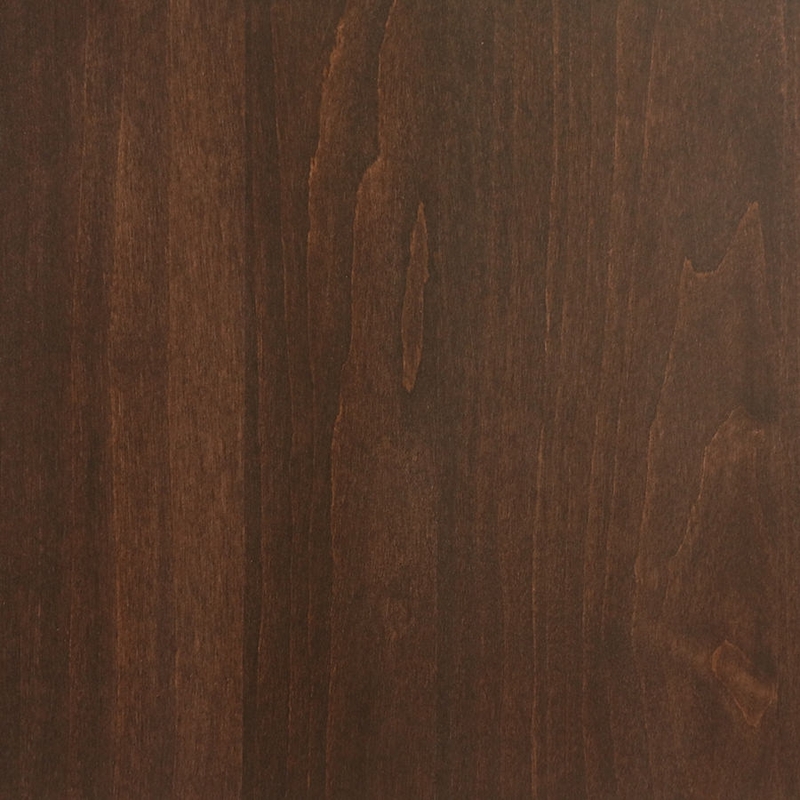 Its color variations are light to dark chocolate brown. 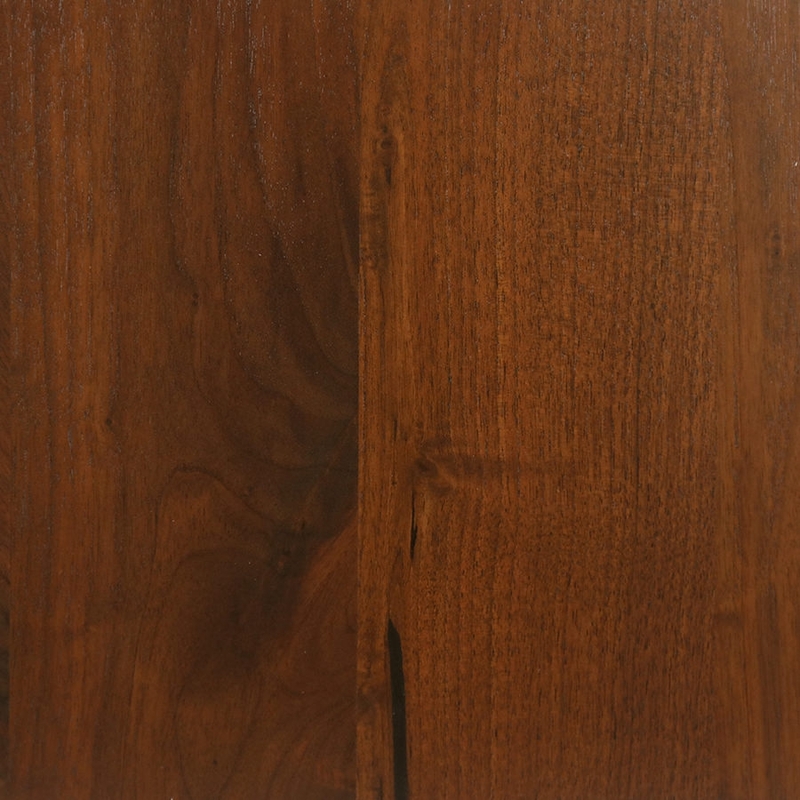 The "rustic cut" we purposefully select shows a wide range of figures, including strips, burls, mottles, crotches, curls and butts, giving it great character as compared to regular cuts of walnut. Our craftsmen take extra time to carefully fill and highlight the natural rustic grain; knots are filled with epoxy or other material when appropriate, to ensure exceptional durability. 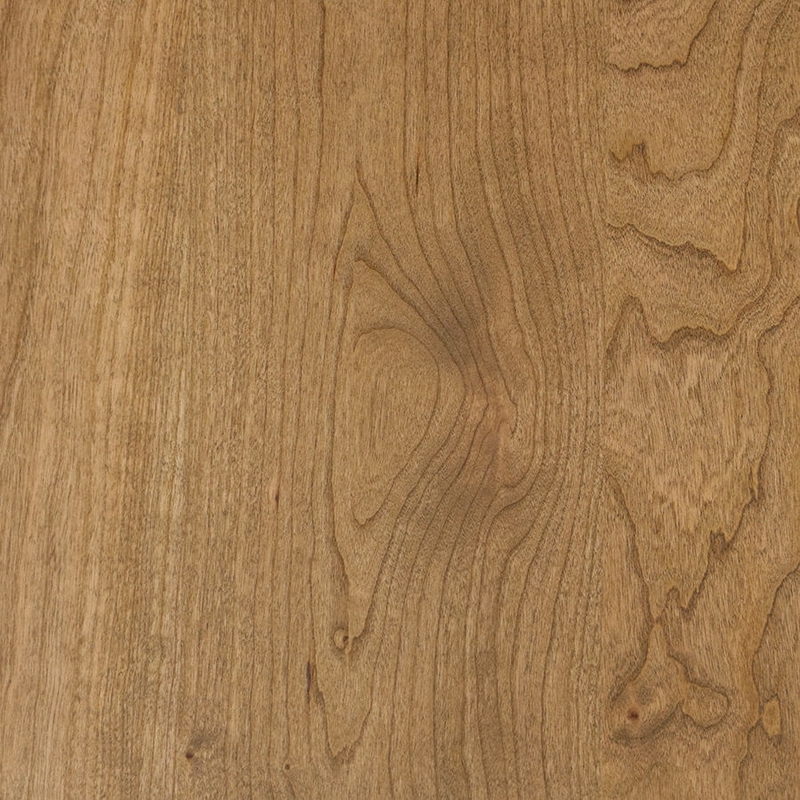 It features a relatively closed grain, but not so much as maple. 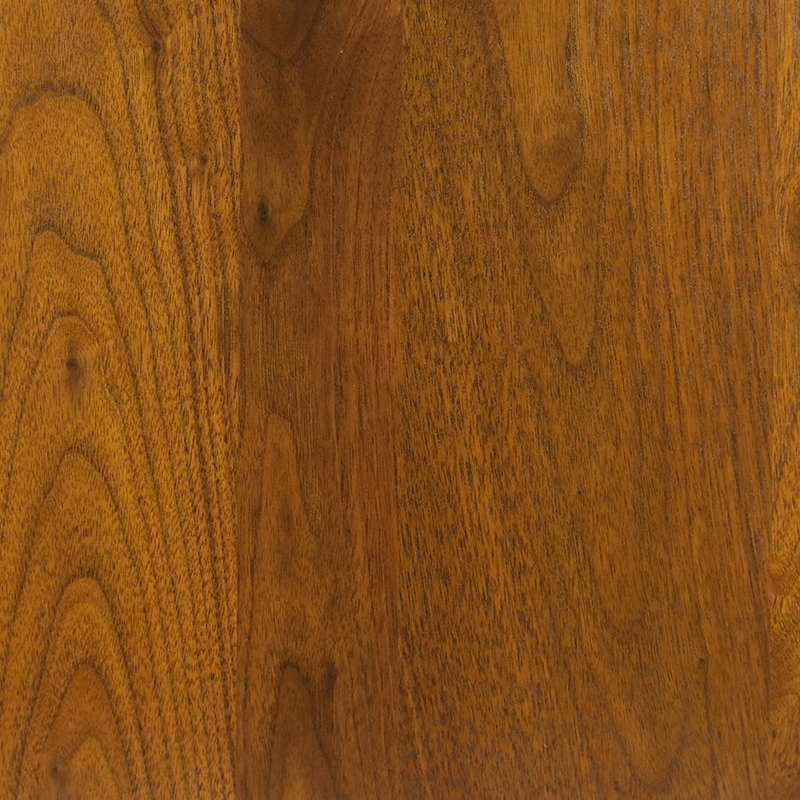 American walnut is a slower growing specie but stocks are still increasing faster than they are being harvested. 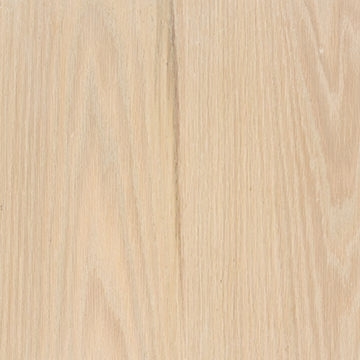 A cubic meter of lumber material is grown in America every 6.84 seconds. 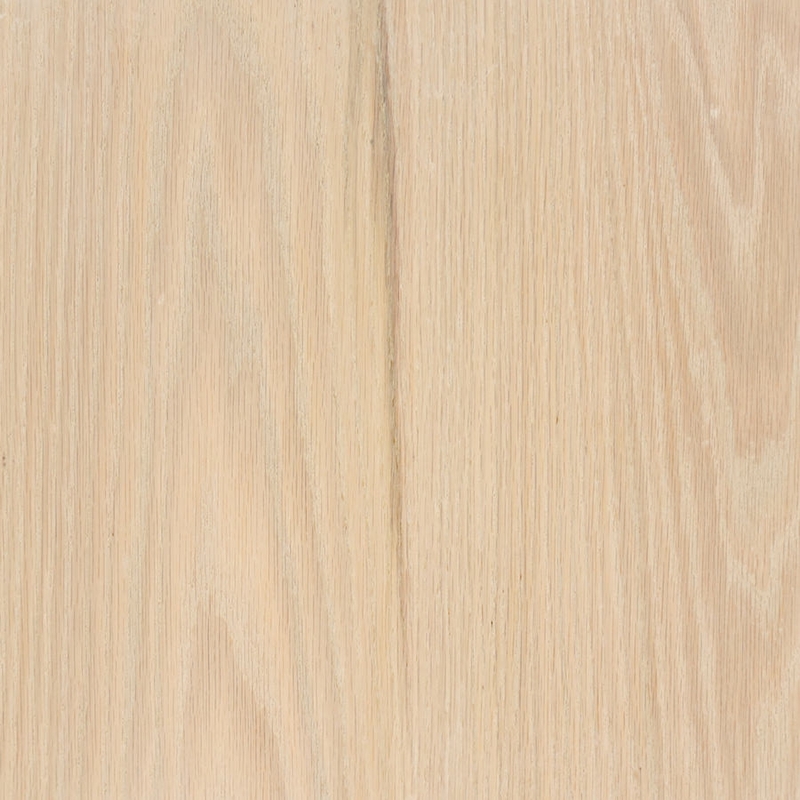 Learn everything there is to know about maple's environmental impact and performance qualities here. 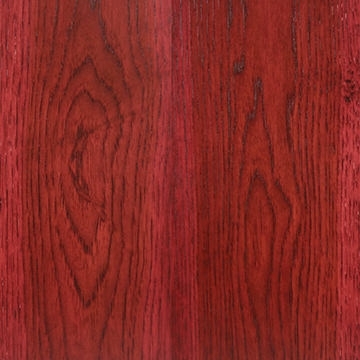 Cherry is grown mostly in the eastern United States and has color variations from nearly white to light red to dark reddish brown. 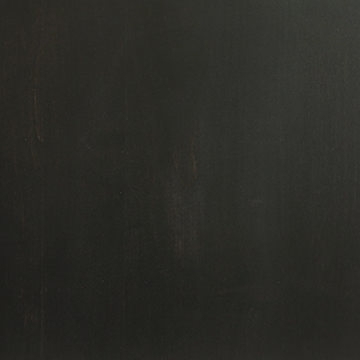 It is moderately hard, heavy (35 lbs/cu ft), strong and stiff, and highly shock resistant. 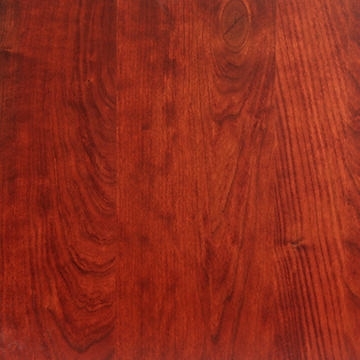 Cherry is known for its fine to medium, uniform grain. 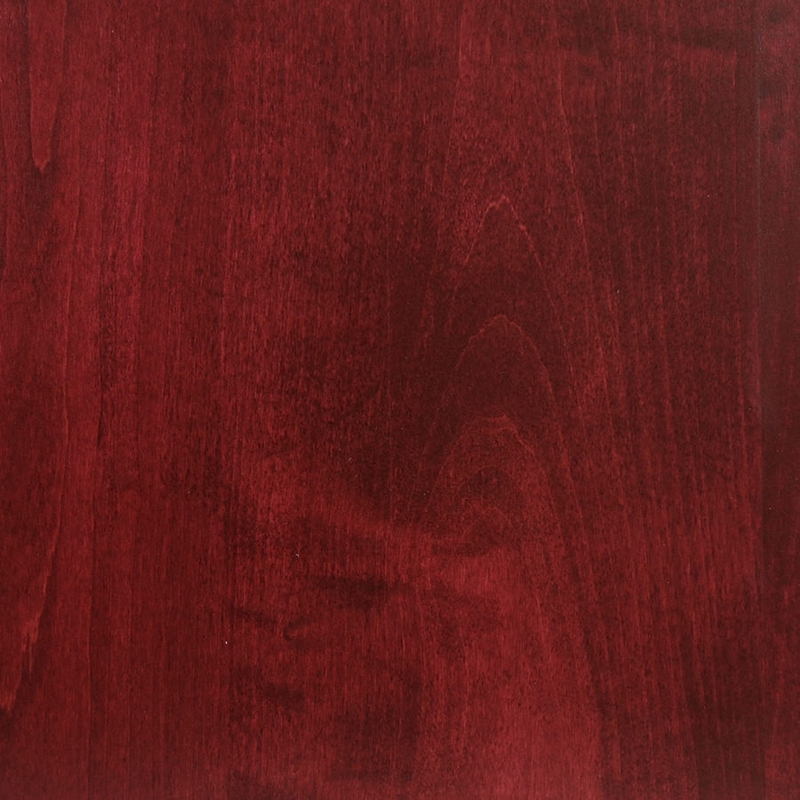 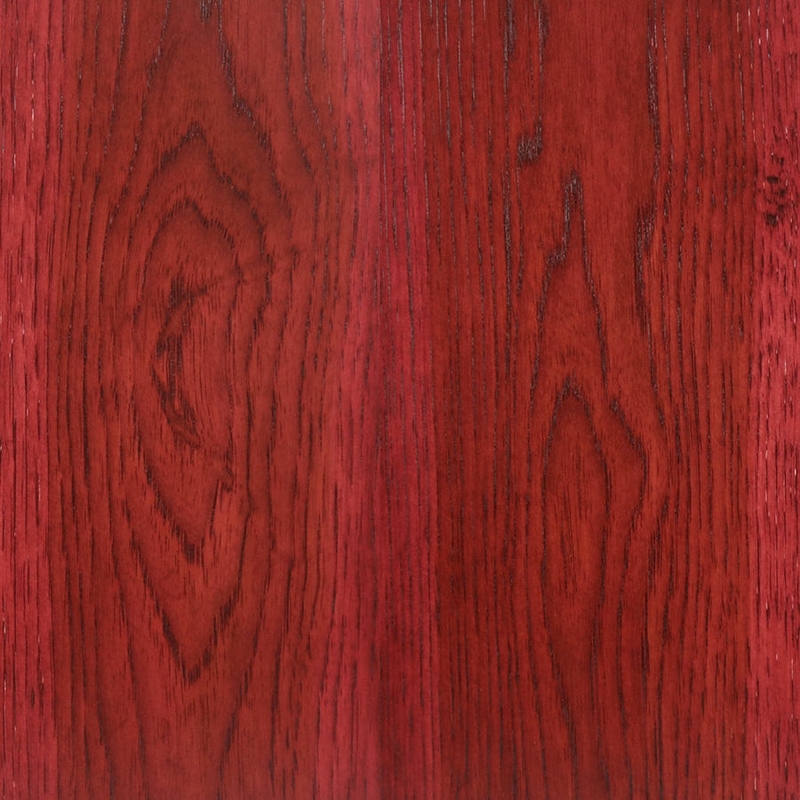 The rustic cherry that was used in our desktops has visible knots and pitch streaks, giving it more character than costlier "select" cherry cuts, making it one of the most distinctive and interesting natural grain patterns for the dollar. 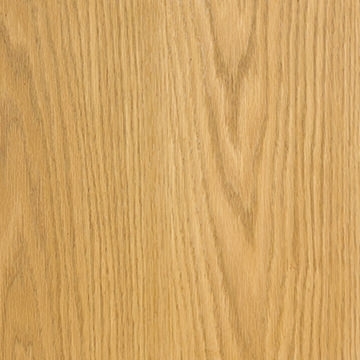 American Red Oak (Quercus rubra; a.k.a. 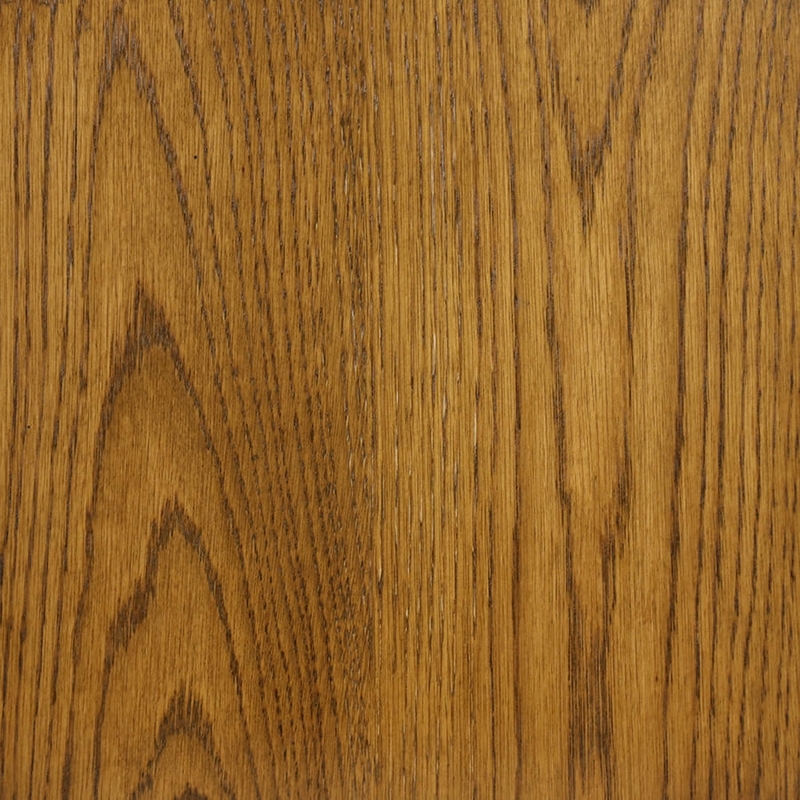 Red Oak) is grown mostly in the eastern United States and has a natural red/caramel color. 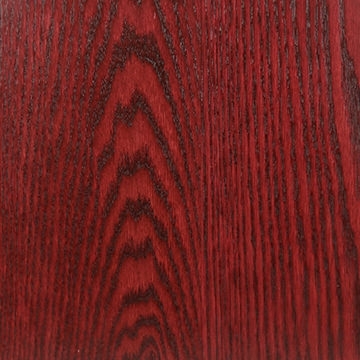 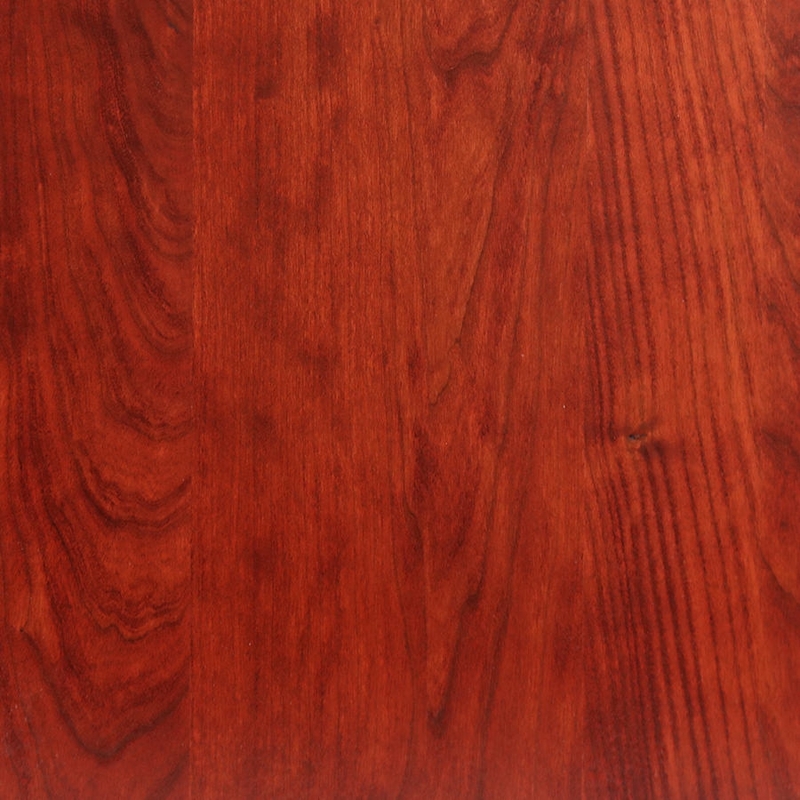 Red oak is an iconic American wood with a distinctive broad grain pattern that gives it a pronounced appearance. 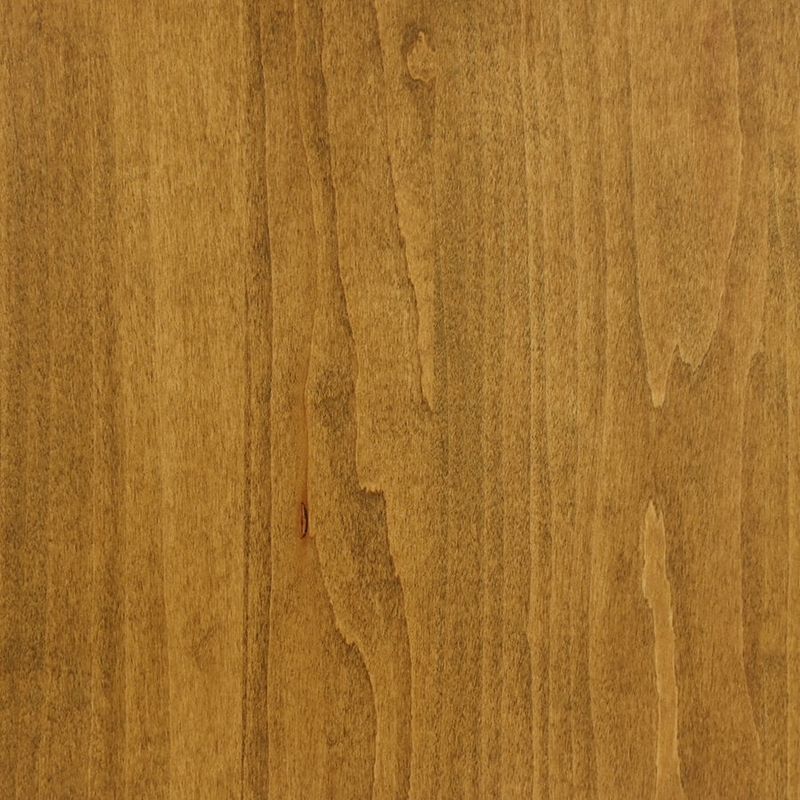 It is not as smooth of a desktop surface as species like maple, but has a beautiful surface texture. 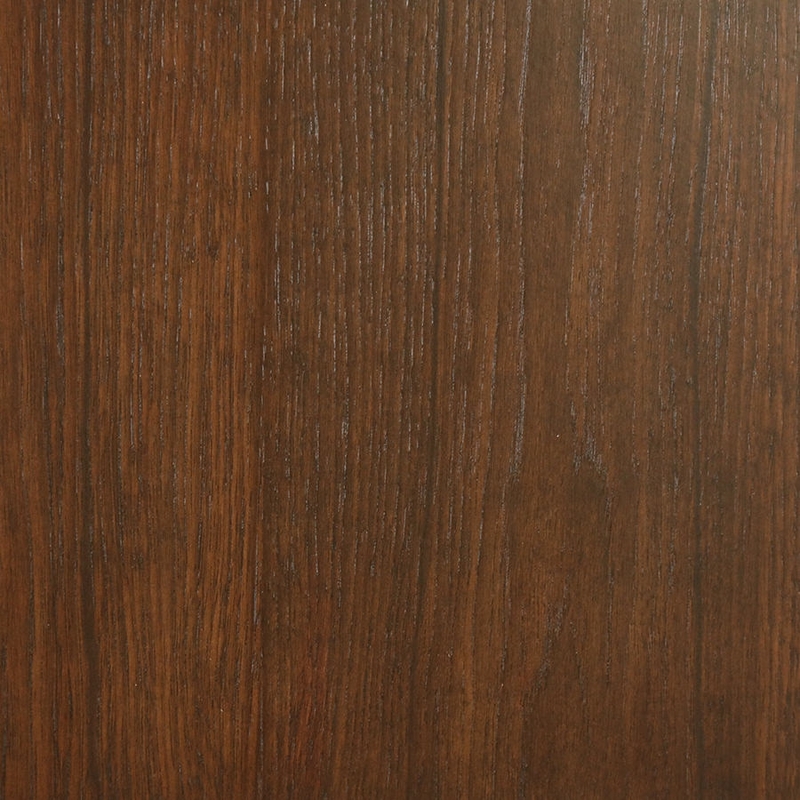 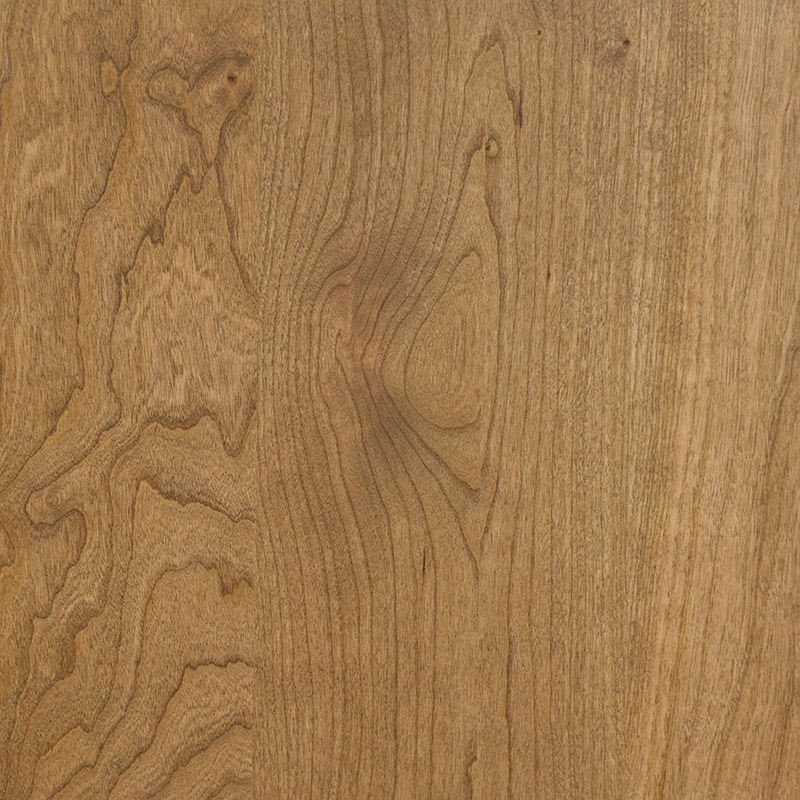 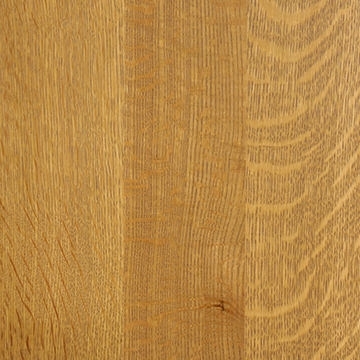 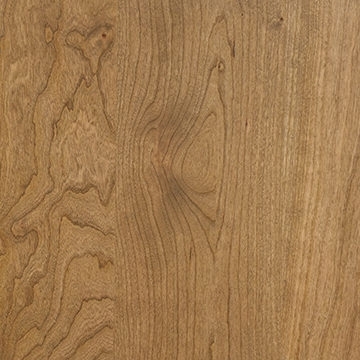 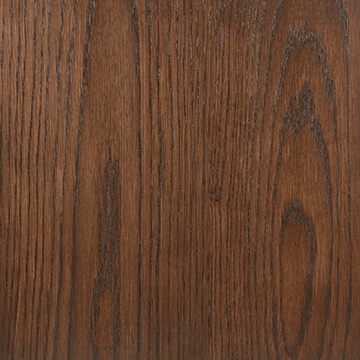 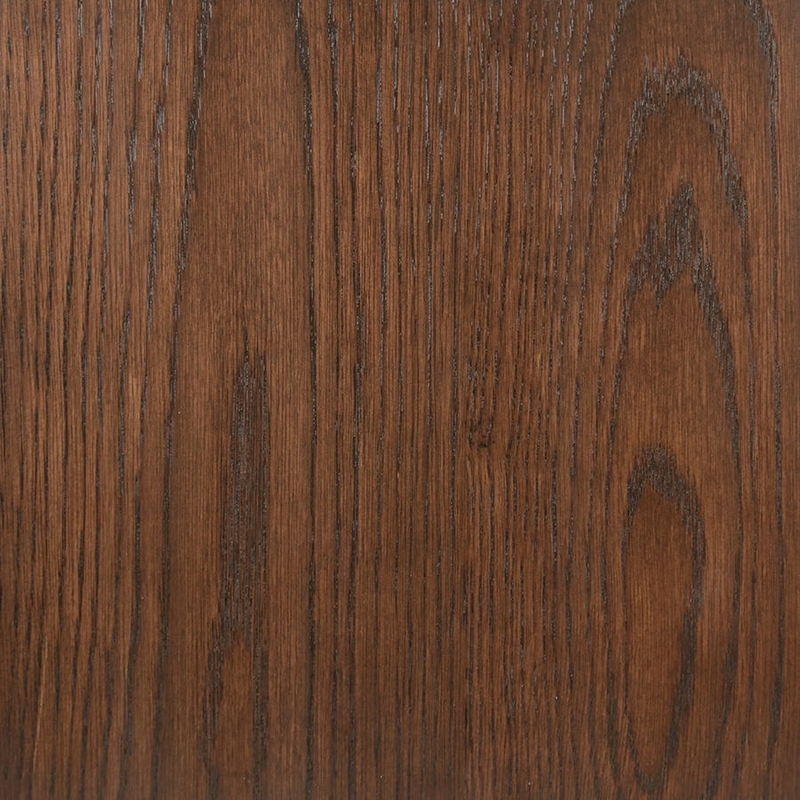 This plain-sawn oak is probably the most popular hardwood used in modern woodworking. 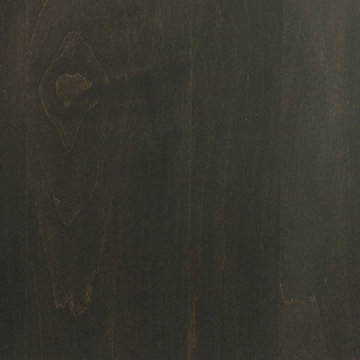 It is heavy (42.5 lbs/cu ft), extremely strong and stiff (hardness rating of 5.738 N) and highly shock resistant. 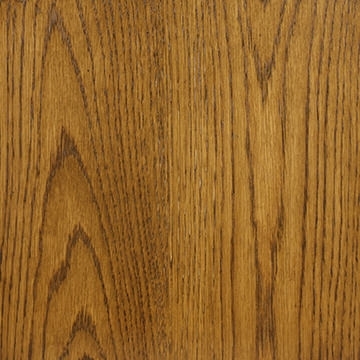 American red oak is a fast growing species that produces one cubic meter of lumber material every 0.57 seconds, and is in balance with harvest. 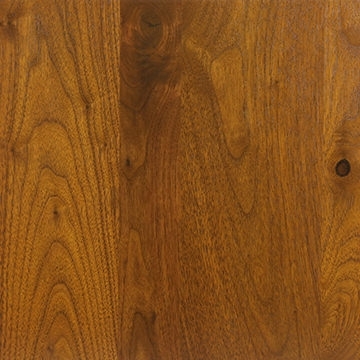 Learn everything there is to know about its environmental impact and performance qualities here. 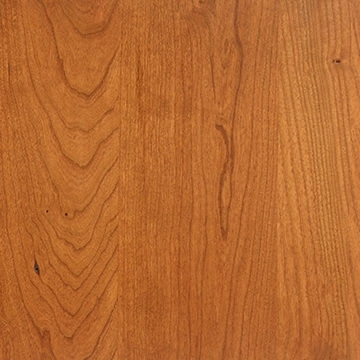 American hickory (Carya spp; a.k.a. 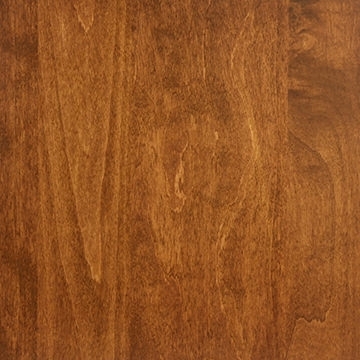 Pecan) is grown mostly in the eastern United States and has color variations from nearly white to dark brown. 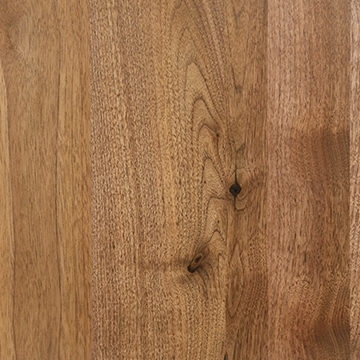 It is very heavy (50.5 lbs/cu ft), very hard, very strong, very stiff and extremely shock resistant--a combination unmatched by any other hardwood. 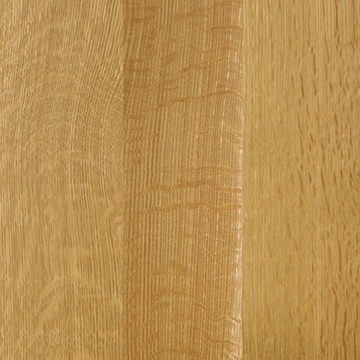 Hickory is known for its fine, uniform grain. 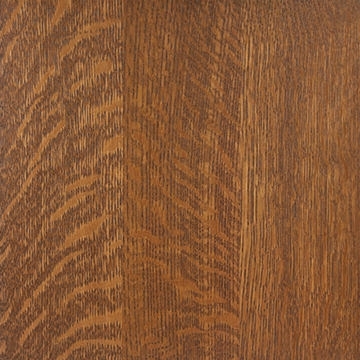 It is is a very ecologically responsible wood choice as the US naturally grows more than we harvest each year, by a wide margin. 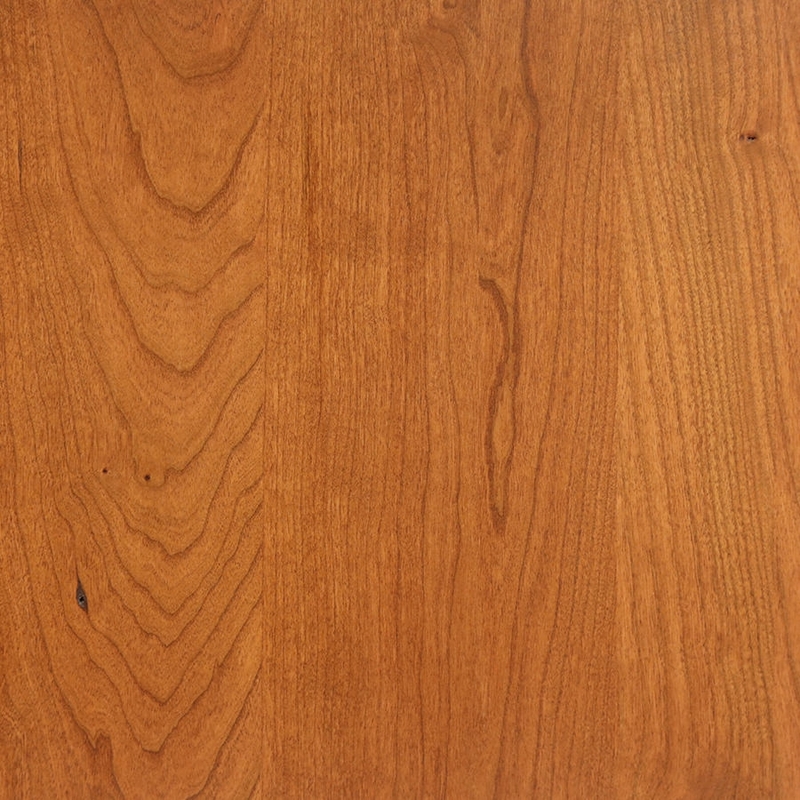 It is a fast growing species that produces one cubic meter of lumber material every 2.23 seconds. 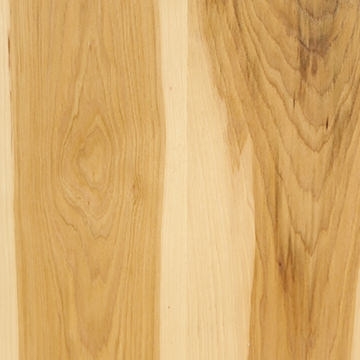 Learn everything there is to know about hickory's environmental impact and performance qualities here. 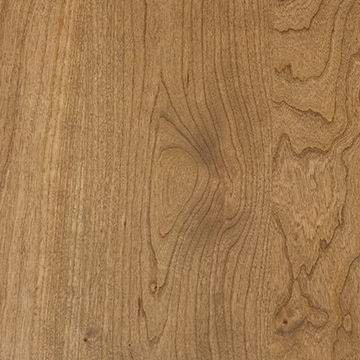 This very special cut of the American White Oak tree (Quercus alba) is coveted for its incomparable beauty. 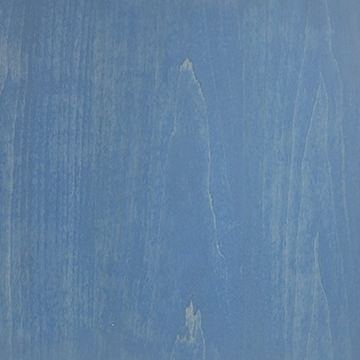 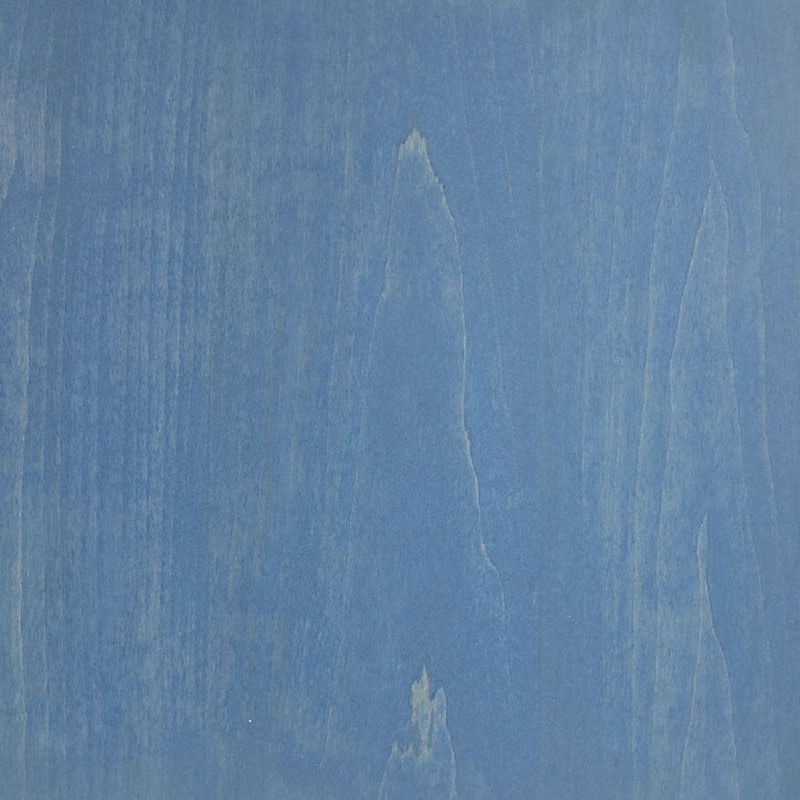 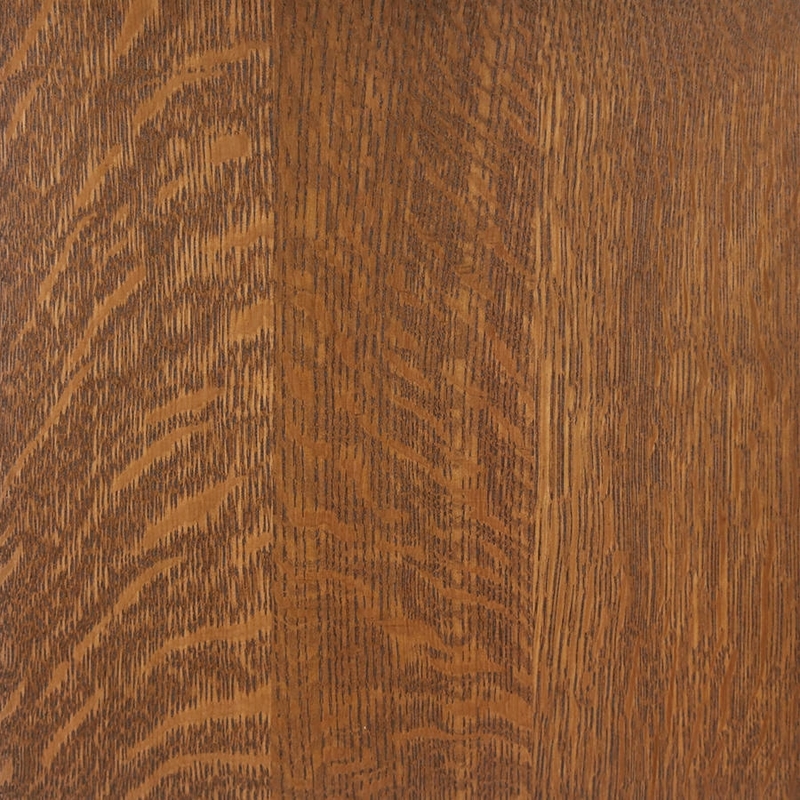 The unique quarter-sawn cut shows a natural “flake” pattern that is famously used in mission or arts & crafts style furniture and Craftsman style homes. 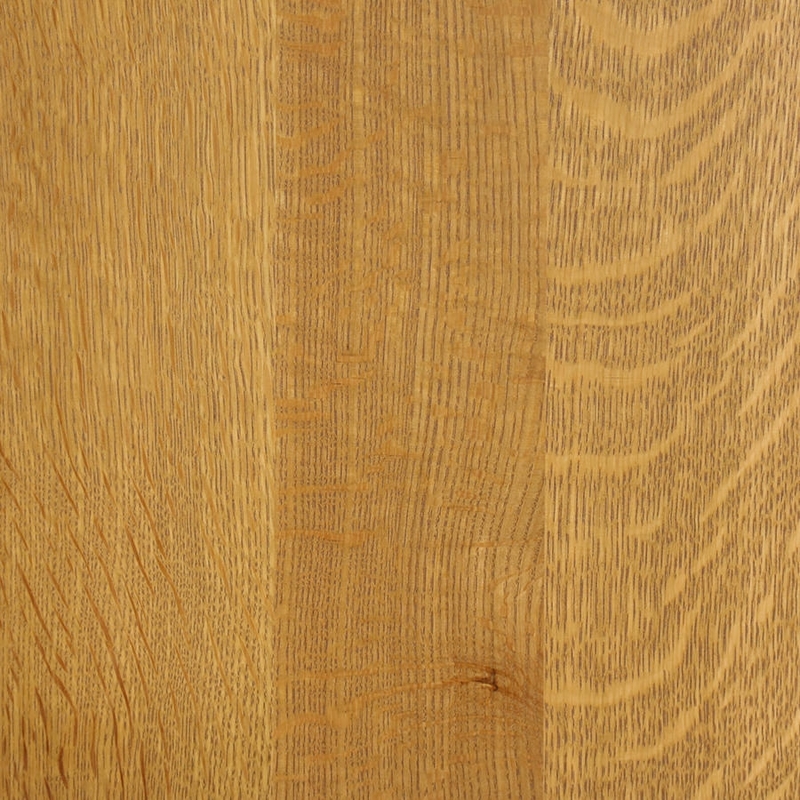 As compared to rift-sawn and flat-sawn cuts that are less spectacular, quarter-sawn has growth rings at angles of 45 to 90 degrees to the wide surface. 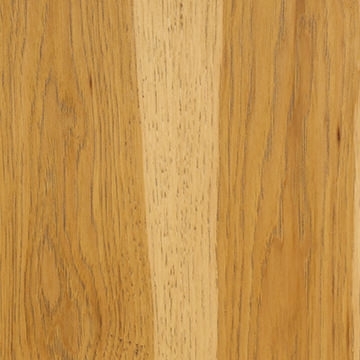 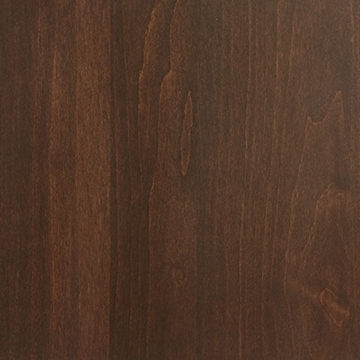 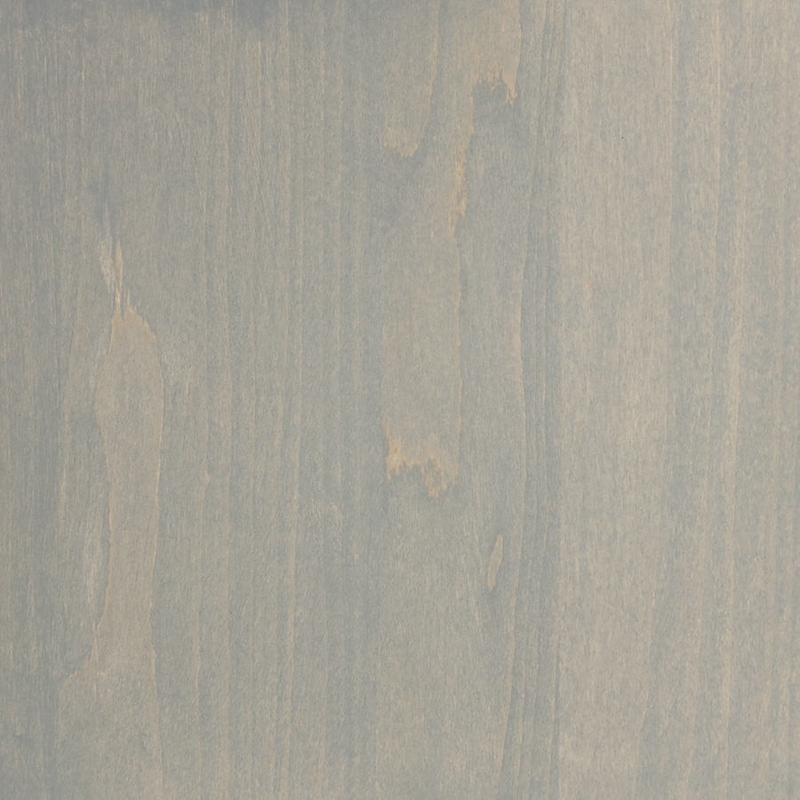 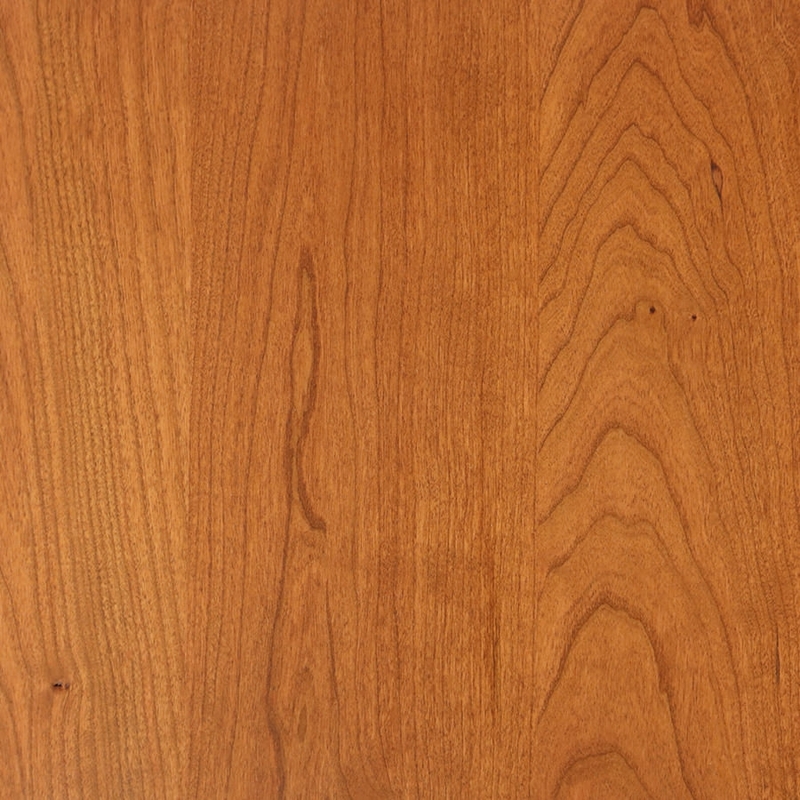 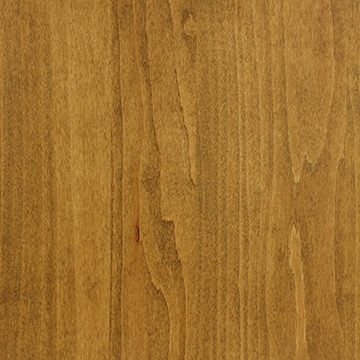 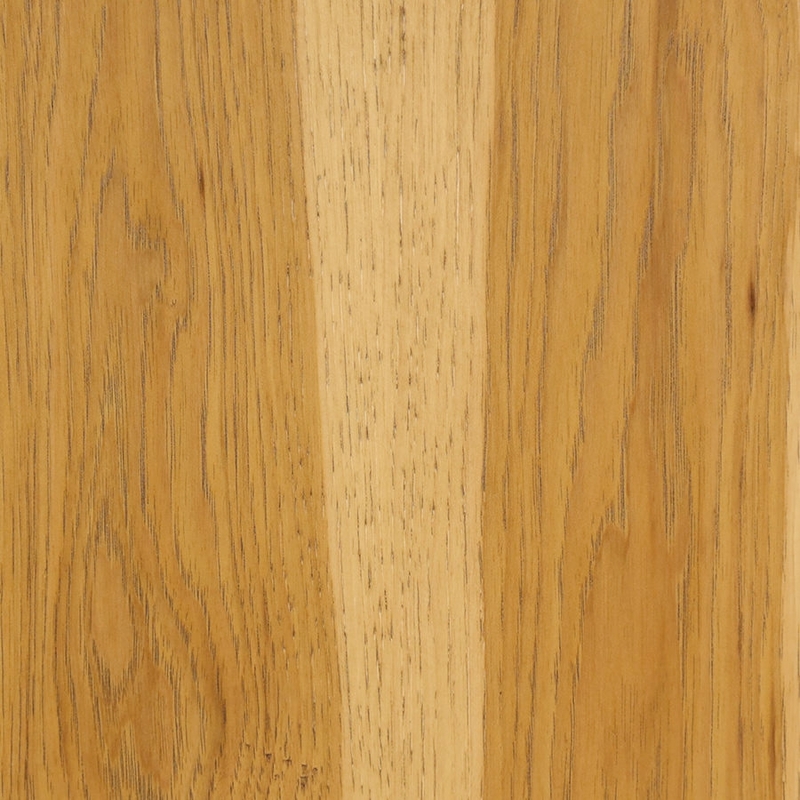 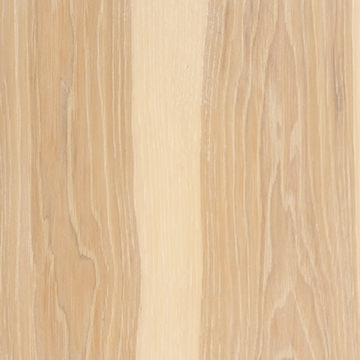 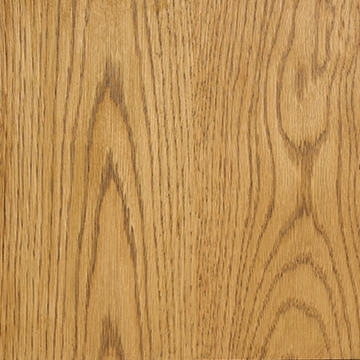 White Oak is grown mostly in the eastern United States and has a natural caramel color with a straight, linear grain. 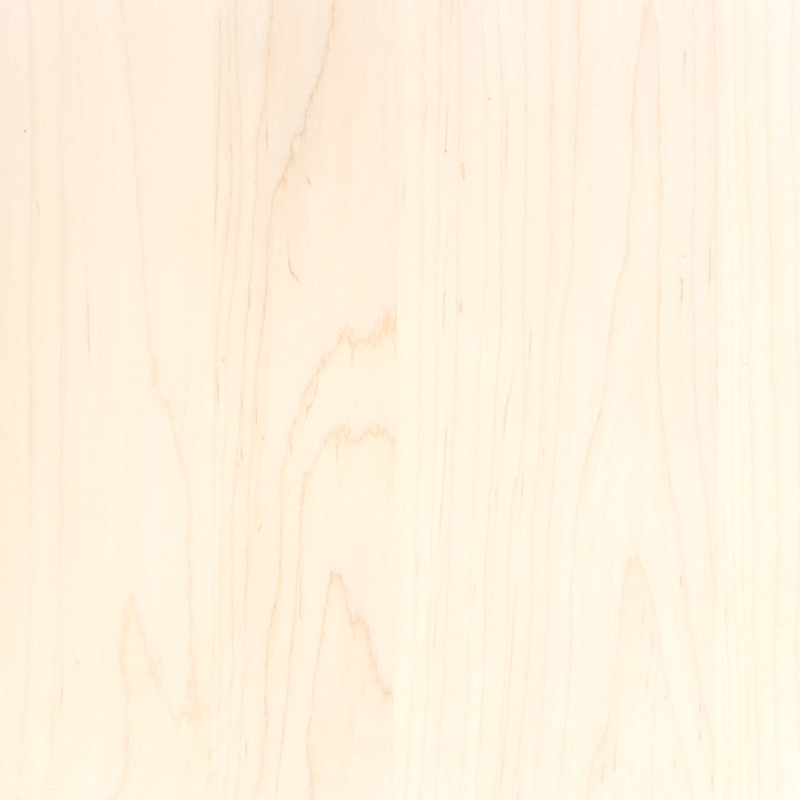 It is a heavy (45.8 lbs/cu ft), strong and stiff hardwood (hardness rating of 6.049 N) with high shock resistance. 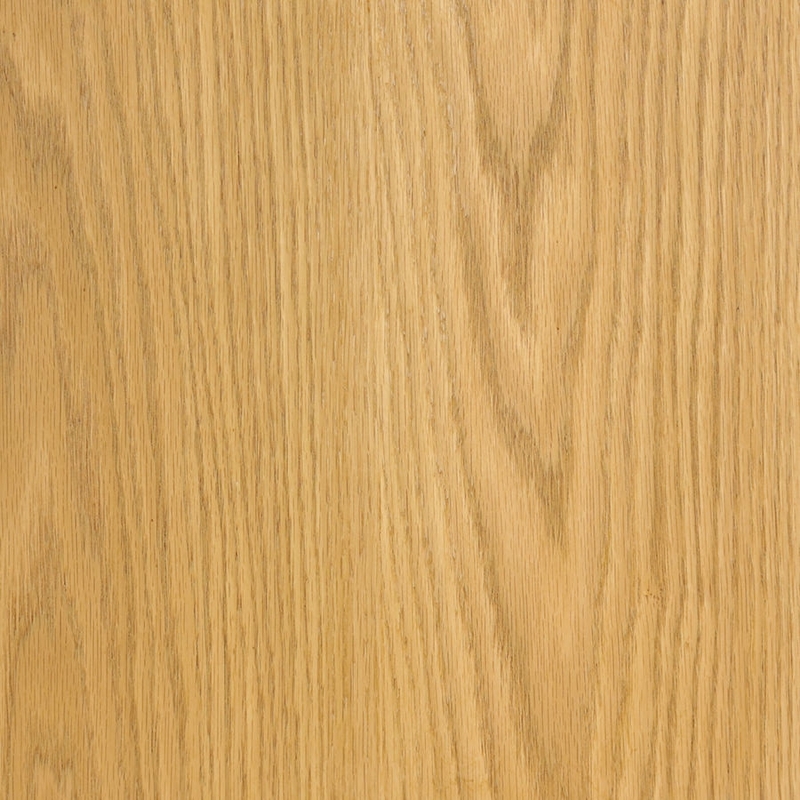 American white oak features a medium fine, open grain that is not as smooth of a desktop surface, but has a beautiful surface texture. 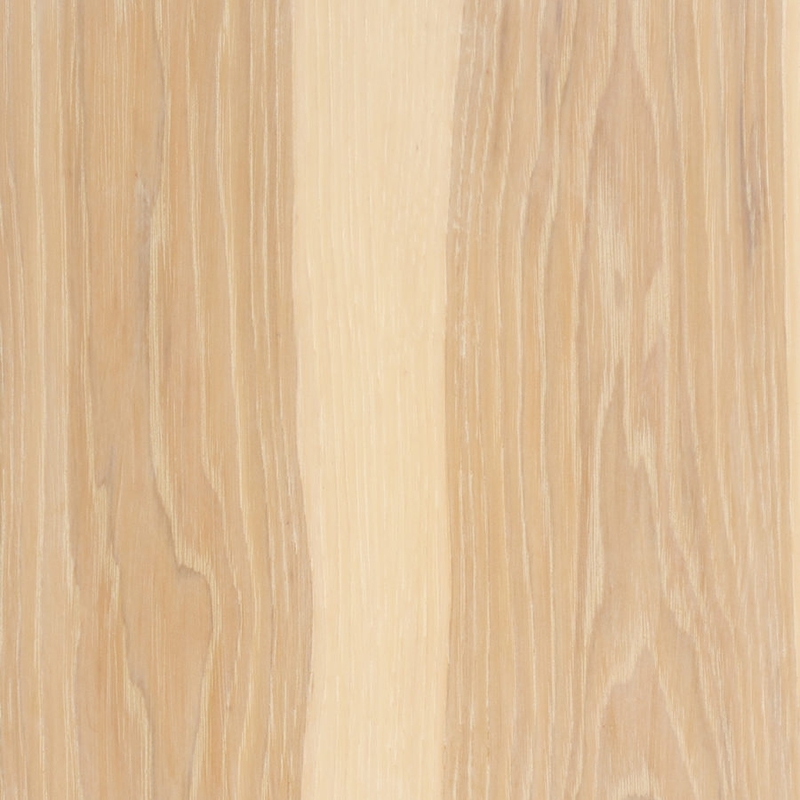 It is a fast growing species that produces one cubic meter of lumber material every 0.80 seconds with populations increasing over harvest. 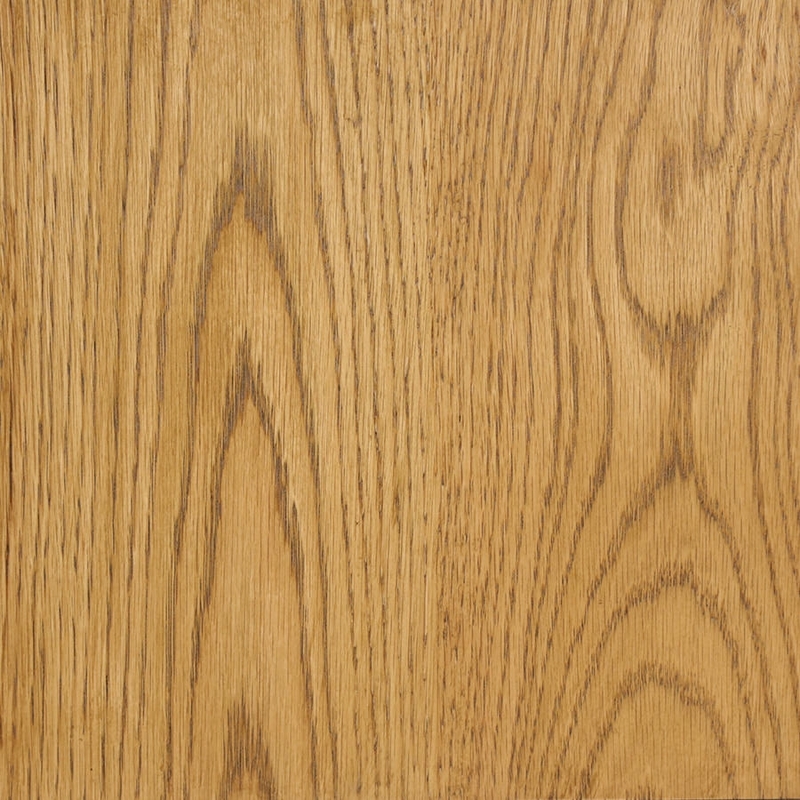 Learn everything there is to know about American white oak's environmental impact and performance qualities here. 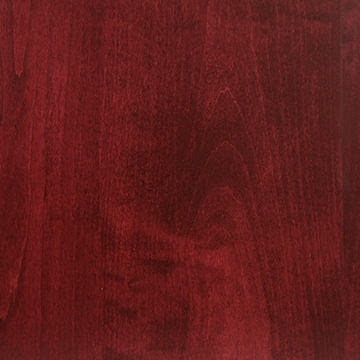 Cherry is grown mostly in the eastern United States and has color variations from nearly white to light red to dark reddish brown. 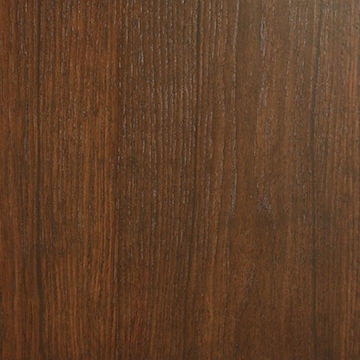 It is moderately hard, heavy (35 lbs/cu ft), strong and stiff, and highly shock resistant. 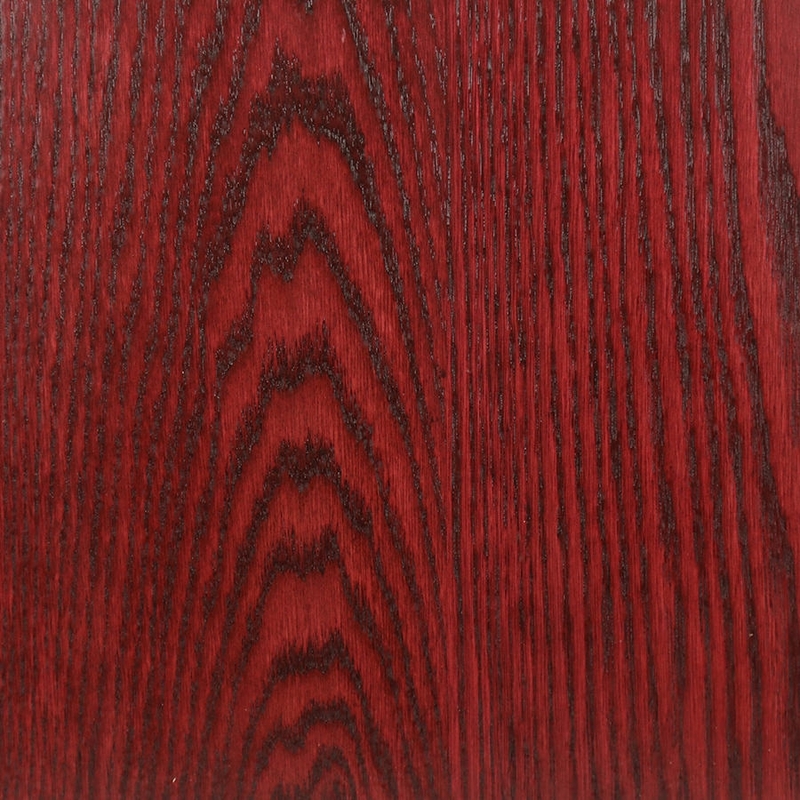 Cherry is known for its fine to medium, uniform grain. 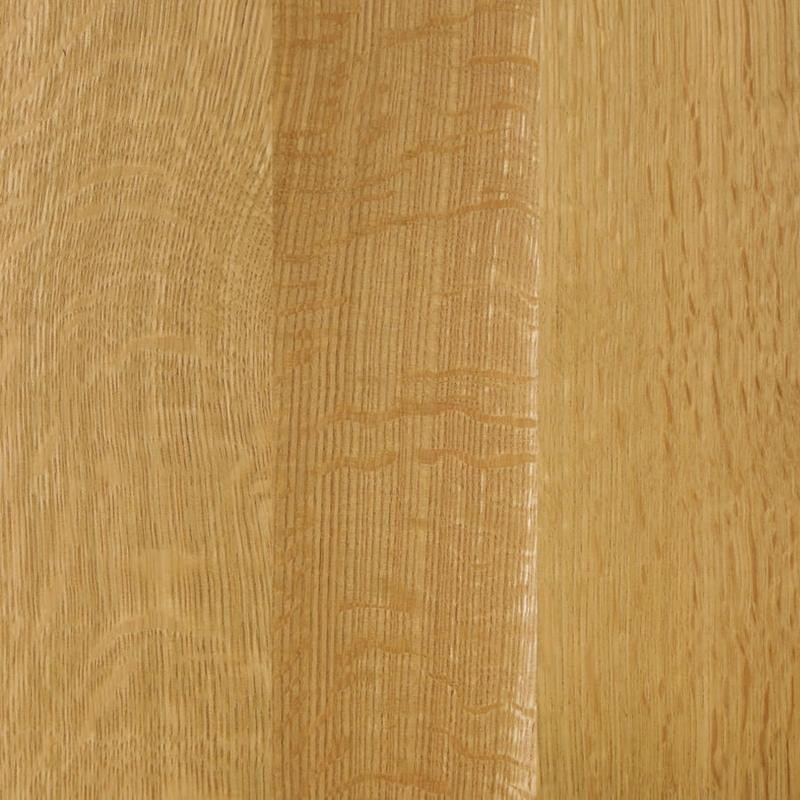 The select cuts of cherry used for making these tops are free of visible knots, pitch streaks and other imperfections found in "rustic" cuts, and showing off only their beautiful natural grain. 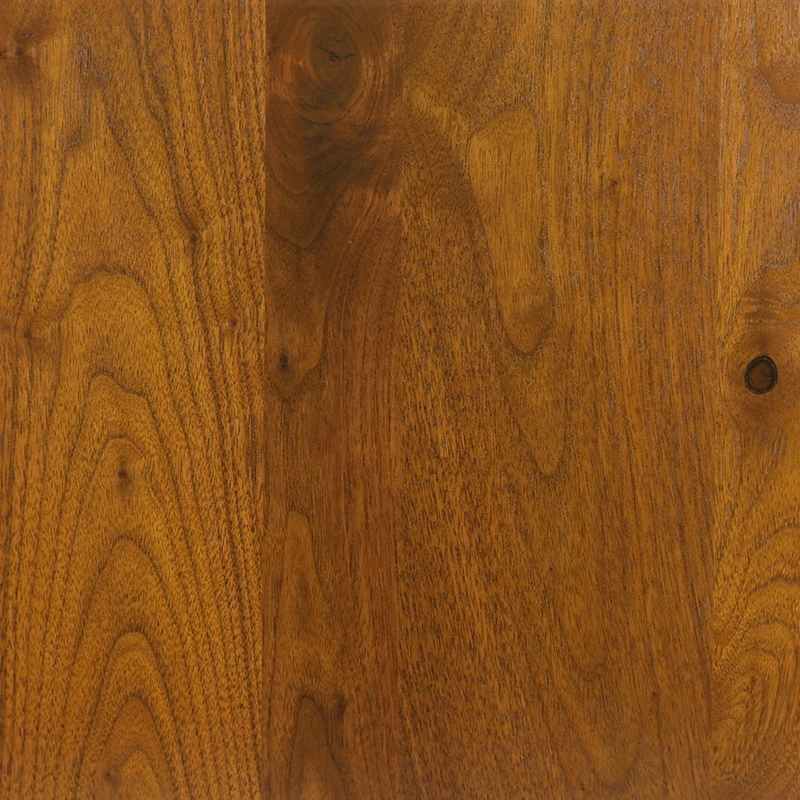 Native to the eastern United States, American black walnut is strong, hard and durable, without being excessively heavy (38 lbs/cu ft). 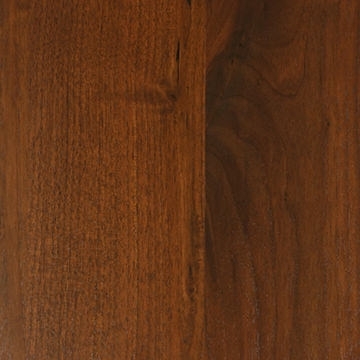 Its color variations are light to dark chocolate brown. 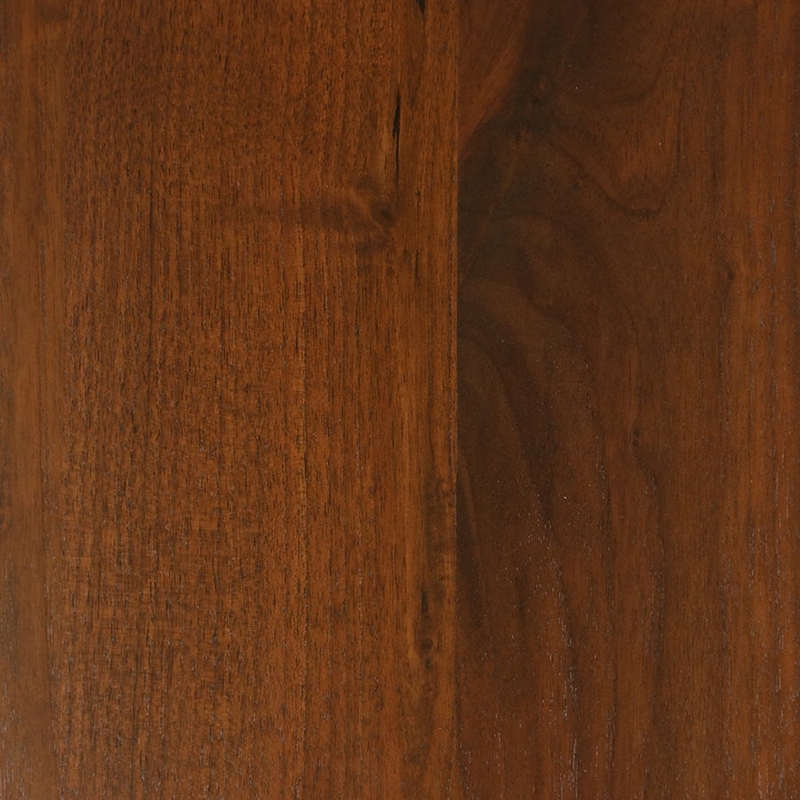 The select cuts of walnut used for making these tops are free of visible knots, pitch streaks and other imperfections found in "rustic" cuts, and showing off only their beautiful natural grain. 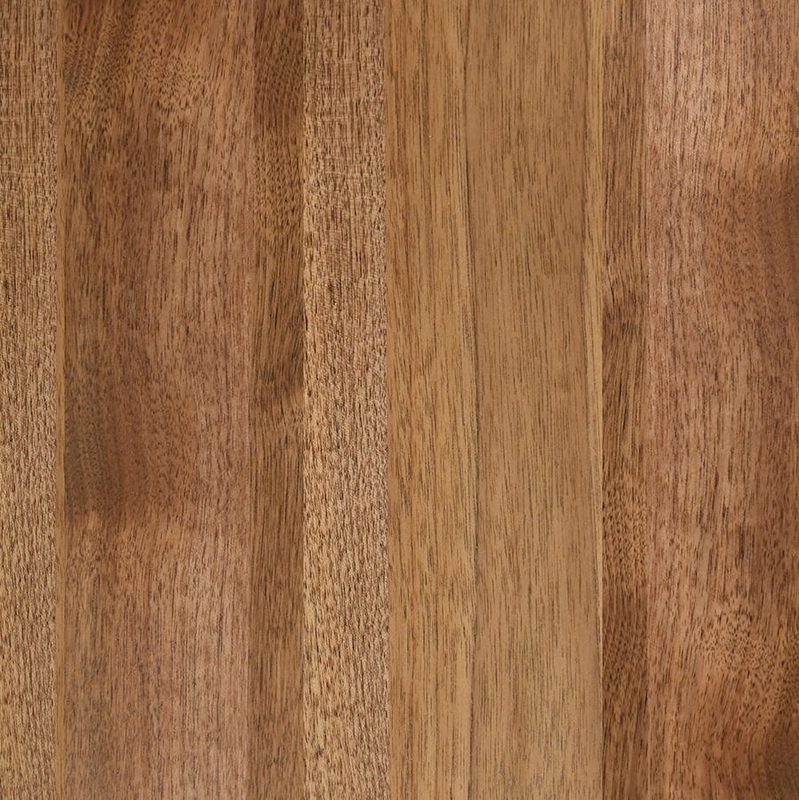 Each iMovR solid wood top starts out by being shaped and pre-drilled on advanced, precision CNC equipment, and then lovingly hand-finished in a 7-step heirloom-quality hand finishing process. 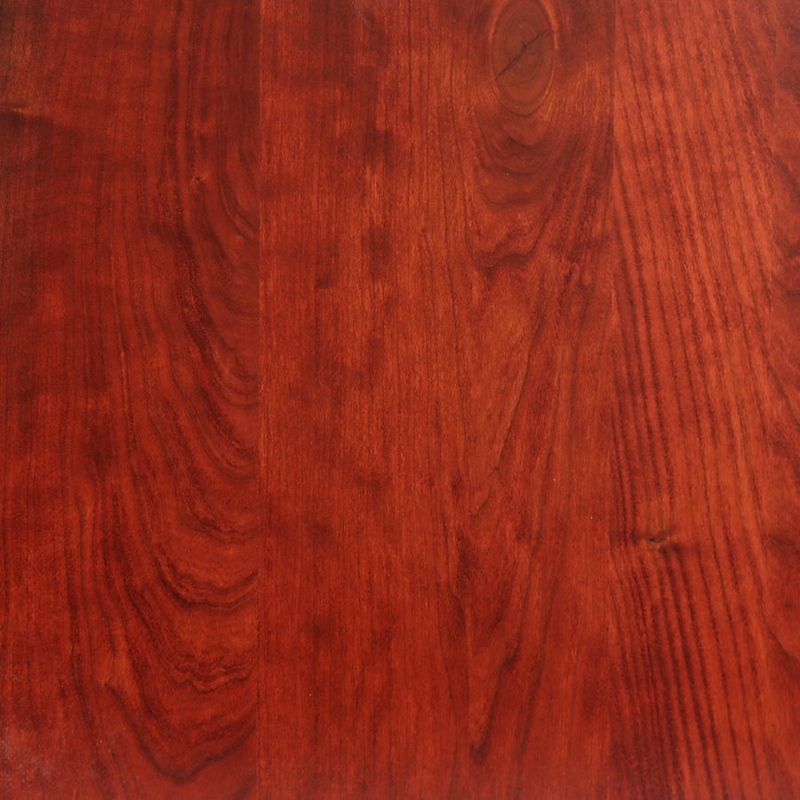 No other real wood top you can buy for a standing desk is produced to such exacting quality standards. 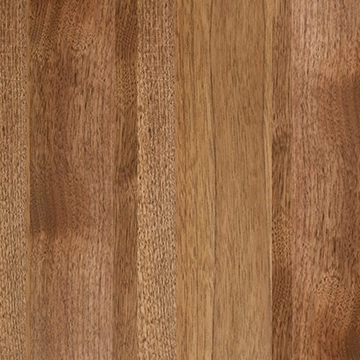 Like all iMovR desktops, our solid wood tops are ergo-contoured, with a 3/4"-tangent round-over profile along the entire length of the user edge, for excellent comfort and wear resistance. 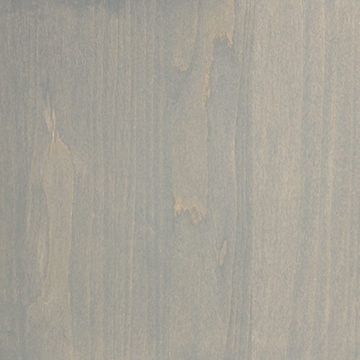 Once shaped, the slabs receive multiple passes of hand sanding and staining. The tops are then finished with a KCMA-rated waterborne sealant, both top and bottom, ensuring long life by reducing the effects of humidity changes on the wood. 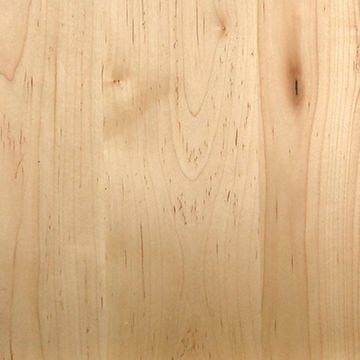 This low-VOC finish protects the natural wood from moisture, chemicals, abrasion and marring, while being safe for workers and the environment (reduces use of solvents for application and cleaning). Sure, it costs more to produce a desktop this way compared to cheaper chemicals and automated application that commodity desktop manufacturers may use, but we believe there is simply no comparison in the resulting beauty of the desktop. 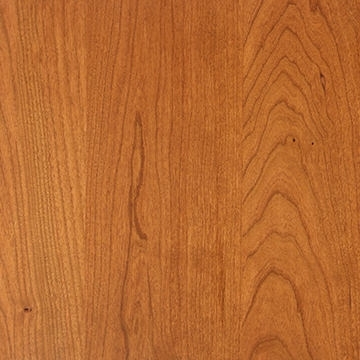 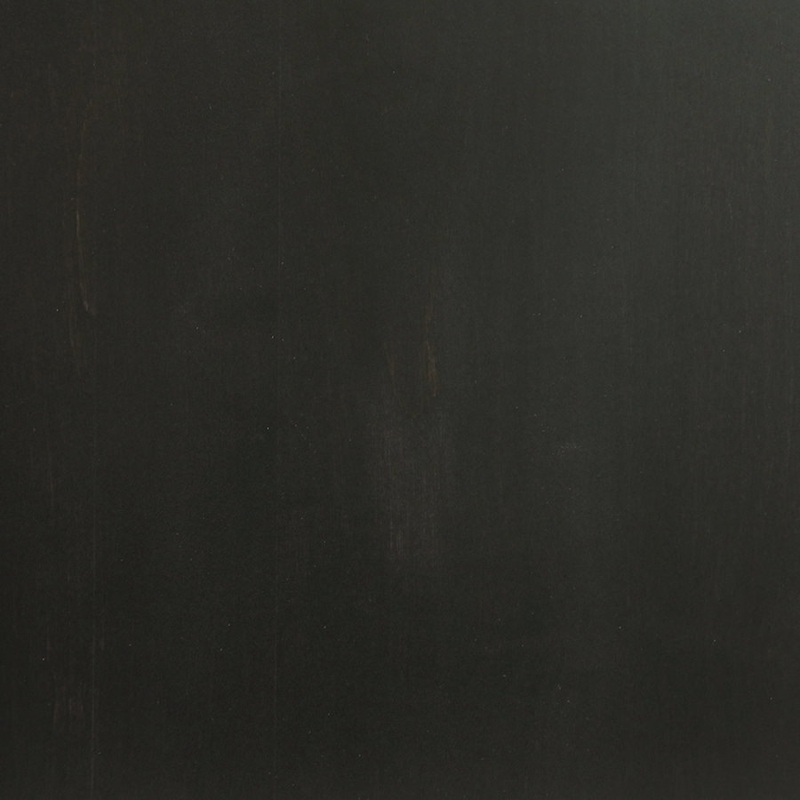 The durability of our real wood tops is also unmatched due to the fact that we seal the entire slab, not just the visible areas, to minimize the impact of humidity and temperature changes that can cause other tops to warp over time. 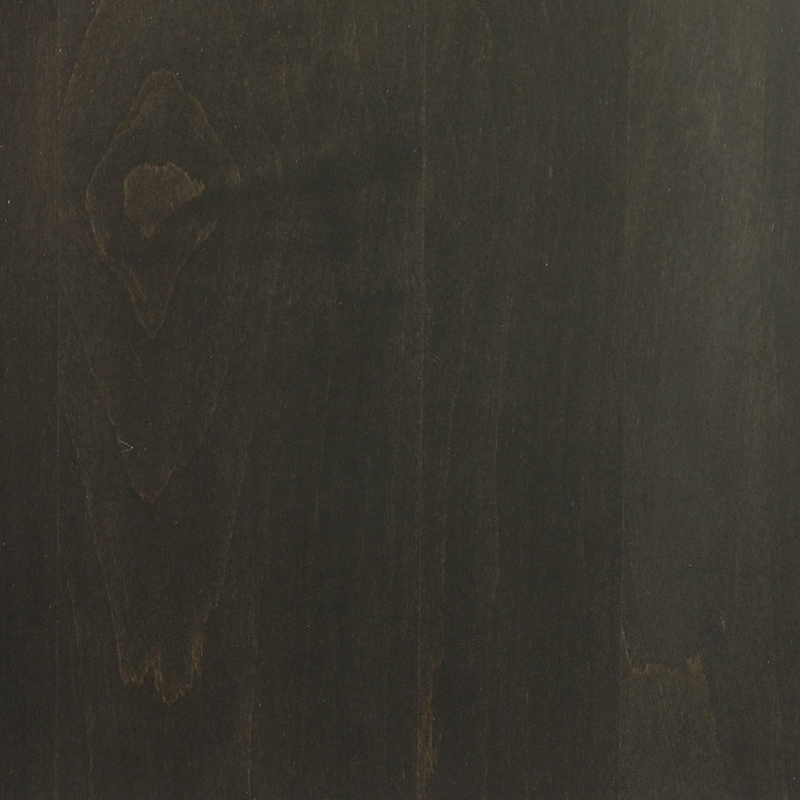 When ordered as part of a Lander desk system all frame components and electronics are assembled to the bottom side of the desktop, tested, and then safely packed for delivery to you. 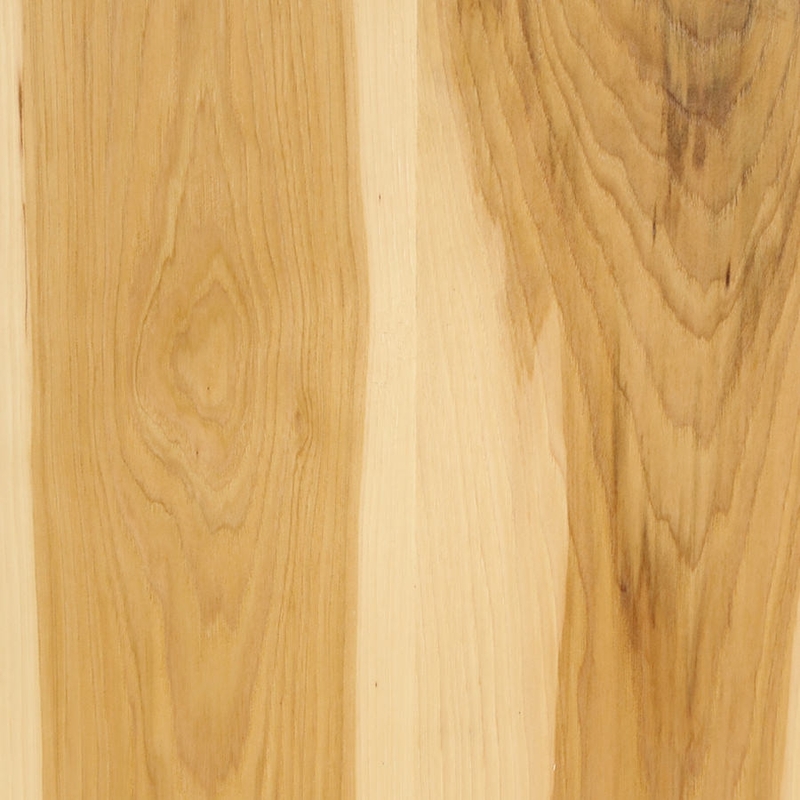 The Lander desk legs are shipped separately and will arrive before the top. 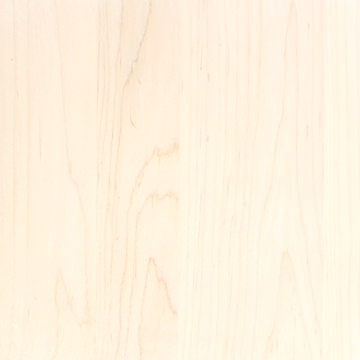 Final assembly does not require any tools and takes only a few minutes to affix the legs to the tops, plug the desk in, and start working while standing up.